This description of the Gospel According to Mark is from Easton's Bible Dictionary. Mark, Gospel according to: It is the current and apparently well-founded tradition that Mark derived his information mainly from the discourses of Peter. In his mother's house he would have abundant opportunities of obtaining information from the other apostles and their coadjutors, yet he was "the disciple and interpreter of Peter" specially. As to the time when it was written, the Gospel furnishes us with no definite information. Mark makes no mention of the destruction of Jerusalem, hence it must have been written before that event, and probably about A.D. 63. The place where it was written was probably Rome. Some have supposed Antioch (comp. Mark 15:21 with Acts 11:20). It was intended primarily for Romans. This appears probable when it is considered that it makes no reference to the Jewish law, and that the writer takes care to interpret words which a Gentile would be likely to misunderstand, such as, "Boanerges" (Mark 3:17); "Talitha cumi" (Mark 5:41); "Corban" (Mark 7:11); "Bartimaeus" (Mark 10:46); "Abba" (Mark 14:36); "Eloi," etc. (Mark 15:34). Jewish usages are also explained (Mark 7:3; 14:3; 14:12; 15:42). 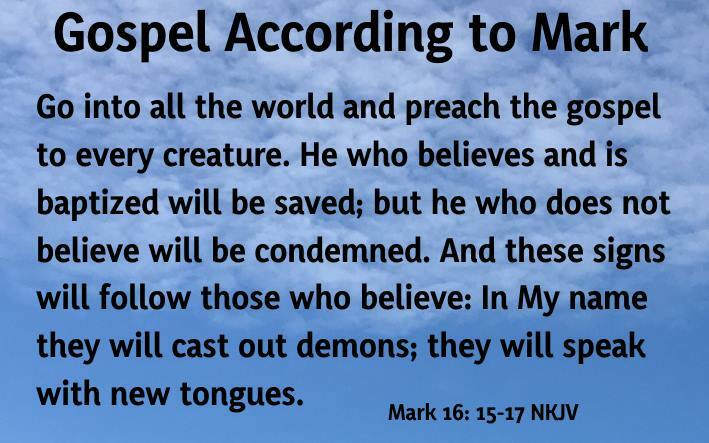 Mark also uses certain Latin words not found in any of the other Gospels, as "speculator" (Mark 6:27, rendered, A.V., "executioner;" R.V., "soldier of his guard"), "xestes" (a corruption of sextarius, rendered "pots," Mark 7:4,8), "quadrans" (Mark 12:42, rendered "a farthing"), "centurion" (Mark 15:39,44,45). He only twice quotes from the Old Testament (Mark 1:2; 15:28). Whom he represents as clothed with power, the "lion of the tribe of Judah." 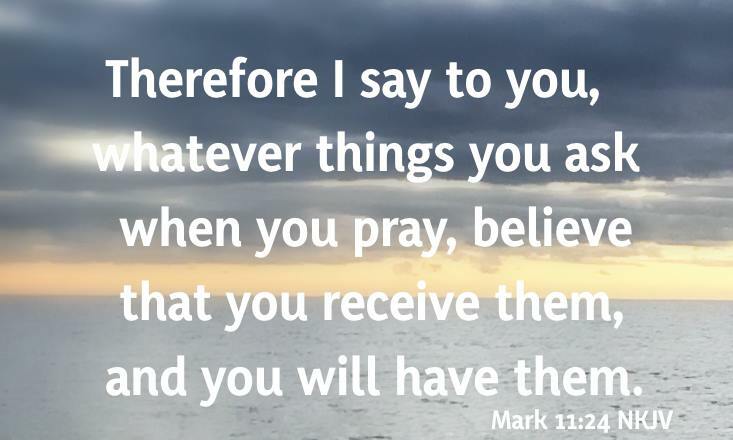 Mark also records with wonderful minuteness the very words (Mark 3:17; 5:41; 7:11,34; 14:36) as well as the position (Mark 9:35) and gestures (Mark 3:5,34; 5:32; 9:36; 10:16) of our Lord. He is also careful to record particulars of person (Mark 1:29,36; 3:6,22, etc. ), number (Mark 5:13; 6:7, etc. ), place (Mark 2:13; 4:1; 7:31, etc. ), and time (Mark 1:35; 2:1; 4:35, etc. ), which the other evangelists omit. The phrase "and straightway" occurs nearly forty times in this Gospel; while in Luke's Gospel, which is much longer, it is used only seven times, and in John only four times. "The Gospel of Mark," says Westcott, "is essentially a transcript from life. The course and issue of facts are imaged in it with the clearest outline." "In Mark we have no attempt to draw up a continuous narrative. His Gospel is a rapid succession of vivid pictures loosely strung together without much attempt to bind them into a whole or give the events in their natural sequence. This pictorial power is that which specially characterizes this evangelist, so that 'if any one desires to know an evangelical fact, not only in its main features and grand results, but also in its most minute and so to speak more graphic delineation, he must betake himself to Mark.'" The leading principle running through this Gospel may be expressed in the motto: "Jesus came...preaching the gospel of the kingdom" (Mark 1:14). This description of the Apostle Mark is from Easton's Bible Dictionary. Mark: the evangelist; "John whose surname was Mark" (Acts 12:12,25). Mark (Marcus, Colossians 4:10, etc.) was his Roman name, which gradually came to supersede his Jewish name John. He is called John in Acts 13:5,13, and Mark in Acts15:39, 2 Tim. 4:11, etc. He was the son of Mary, a woman apparently of some means and influence, and was probably born in Jerusalem, where his mother resided (Acts 12:12). Of his father we know nothing. He was cousin of Barnabas (Colossians 4:10). It was in his mother's house that Peter found "many gathered together praying" when he was released from prison; and it is probable that it was here that he was converted by Peter, who calls him his "son" (1 Peter 5:13). It is probable that the "young man" spoken of in Mark 14:51,52 was Mark himself. He is first mentioned in Acts 12:25. He went with Paul and Barnabas on their first journey (about A.D. 47) as their "minister," but from some cause turned back when they reached Perga in Pamphylia (Acts 12:25; 13:13). Three years afterwards a "sharp contention" arose between Paul and Barnabas (Acts 15:36-40), because Paul would not take Mark with him. He, however, was evidently at length reconciled to the apostle, for he was with him in his first imprisonment at Rome (Colossians 4:10; Philemon 1:24). At a later period he was with Peter in Babylon (1 Peter 5:13), then, and for some centuries afterwards, one of the chief seats of Jewish learning; and he was with Timothy in Ephesus when Paul wrote him during his second imprisonment (2 Timothy 4:11). He then disappears from view.